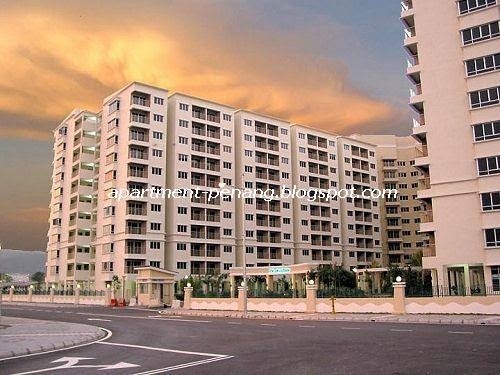 The OceanView apartment is located in Georgetown near the Jelutong Expressway. It is close to Tesco Hypermarket in Gelugor and within easy access to Penang Bridge. The residential project consists of a single 11-storey apartment block with a total of 440 units. The Ocean View apartment which is a leasehold property completed in year 2004 has a built-up area of 860 sq.ft. to 880 sq.ft. Every units have 3 bedrooms and comes with a balcony that overlooks the swimming pool and beautiful landscape garden or the view of the city. 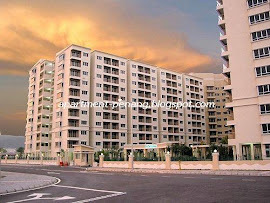 The neighbourhood apartment block of Ocean View are The Spring and Serina Bay. Built-up Area : approx. 860 - 880 sq.ft. 24-hours security, covered car park, landscape garden, swimming pool, gymnasium, community hall, BBQ area, management office, children's playground. The issue of dumpsite location along Jelutong Expressway (right beside the newly constructed Spring apartments) has been talking point of JE residents for years now. Benefits of relocation include cleaner air quality, healthier resident lifestyle along JE & better long-term potential for property value appreciation, esp. in vicinity of upcoming landmarks like "The Light"
Let us all join hands as well-aware residents of JE & make this happen for future benefit of our community & families.. I was told launching price around RM140k. About market price, well, from seller's perspective is RM200k. But if that transaction really goes through, it is everyone's guess. Ocean View, how to stay? In front, cars double park here and there. Low cost housing every where. Are there any convenience stores (such as seven-eleven) that are easily accessible on foot? And can I get on bus to go to Tesco? and, do you mean RM200,000 by RM200k? why here at ocean view illegle securitys?phillipines hav dublicate sabah id and nepalise working without valid work permit!! So in your opinion the Light project also will have same issue? Anyone of your unit for sales ?